Protection and safety for Barly's life in the UK! Peace and freedom for DR Congo! Barly Koyangbwa is a much respected member of RAPAR and APARECO in the North West. After his uncle, with whom he was living, was killed by the regime in his home country of Democratic Republic of Congo his life became at risk. He fled to the UK in 2013 and is now in temporary accommodation in Manchester. 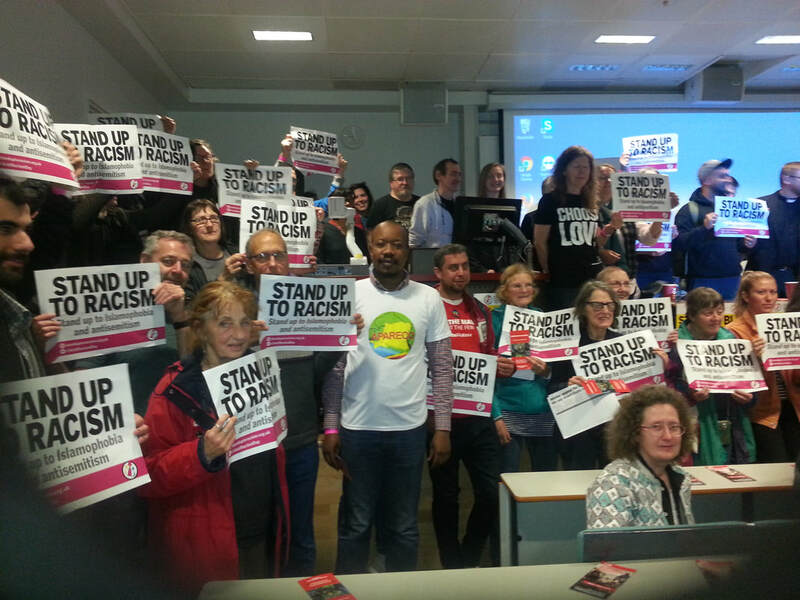 An active member of APARECO, Barly dedicates his time to exposing the human rights violations taking place in his country and is now seeking asylum here in the UK. Barly pictured with his caseworker Max Stanley in the RAPAR office. In this short film, he speaks powerfully about the violent regime in Congo – and the multinationals' post colonial scramble for minerals in the country, including coltan which is used in the manufacture of laptops and mobile phones. 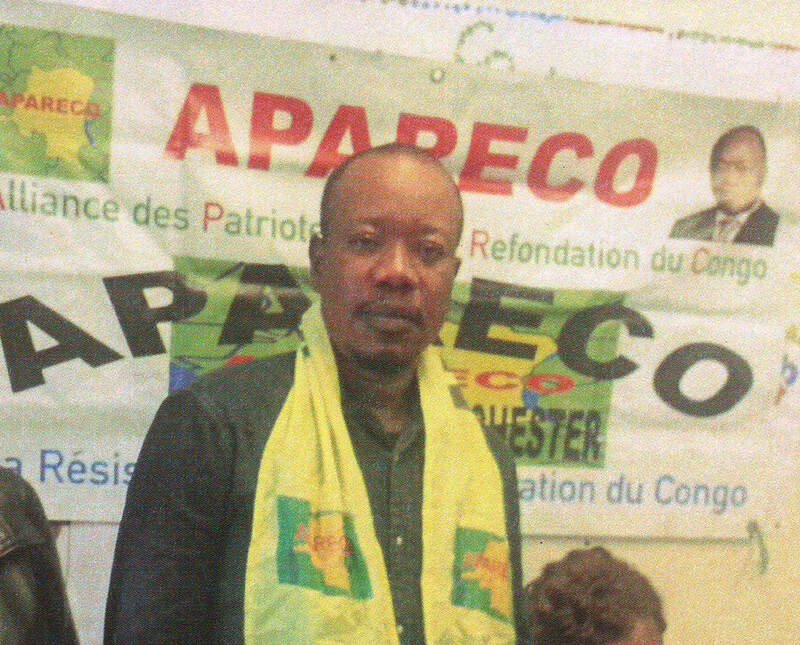 Barly is appealing to people in the UK, and in particular Manchester, to support APARECO in its campaign to oust current president Joseph Kabila who is determined to continue to use horrifying and murderous actions against the people of Congo in order to cling on to power. 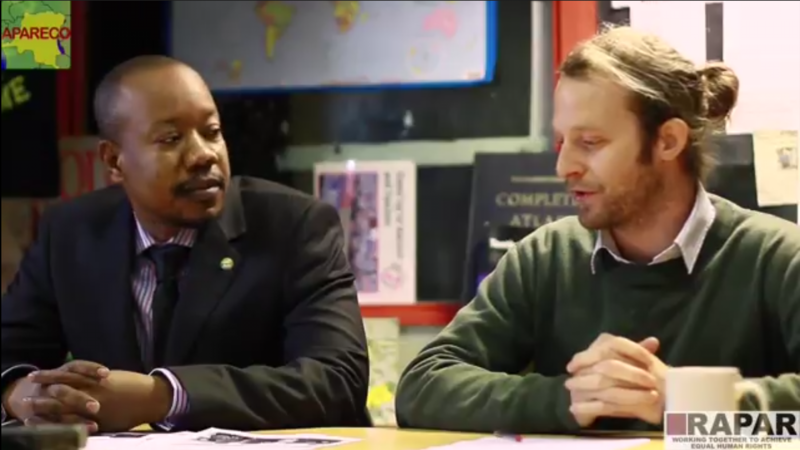 In the film, Barly is interviewed, mostly in French, by RAPAR caseworker Max Stanley. You can turn on the captions to see the English translation.